2013 will mark a very special Commencement for Peirce College. Not only are 426 students part of our graduating class, 17 of those graduates are from our Parent University program. 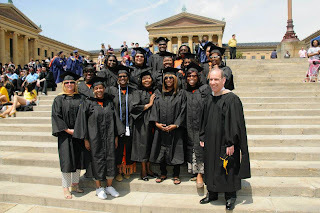 In 2010, Peirce joined forces with the School District of Philadelphia’s Parent University in an education initiative to increase the number of working adult residents in Philadelphia earning college degrees. Peirce offered 25 parents of children who are enrolled in the Philadelphia School District the opportunity to earn an associate degree in General Studies to help them start their college careers. These students have completed the three-year program and will have a new advantage to get ahead in their careers or move to a more-fulfilling job path. Seven Parent University graduates plan to go on to get their bachelor’s degree, using their training in General Studies to further pursue their education. This opportunity was the catalyst for them to jumpstart their education, and helped them reinvigorate their passion for lifelong learning. But these graduates have a lot more to be proud of. As parents of children in the Philadelphia School District, many are working adult students, balancing home and family responsibilities, their careers, and their education. They completed the program to be role models for their children, and to illustrate the importance of obtaining a college degree – a fact Mayor Nutter pointed out when recognizing our Parent University graduates at the city-wide Toss Your Caps event on May 10. Peirce College is dedicated to driving college attainment in the Philadelphia region, and Parent University is just one example of this. 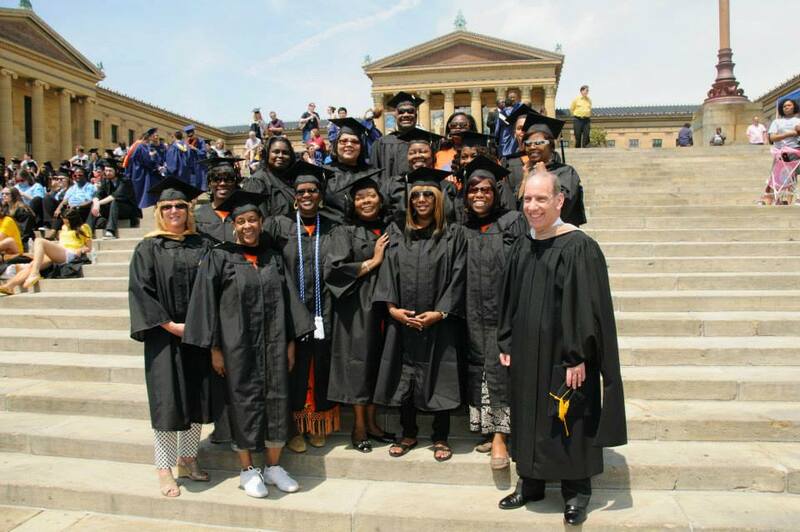 We’re also finding strength in our partnerships with organizations like Philly Goes 2 College and Graduate! Philadelphia to help Philadelphians achieve their educational aspirations. We’re very proud of our graduates and excited for many of them to continue their educational journeys. We’ll be covering some individual stories of our Parent University graduates in upcoming blog posts, so be sure to check back for that. This is just the beginning, and we can’t wait to see you achieve your dreams with your college degree in hand!